"Berea is a good fit for me because the students here are excellent thinkers who aren't afraid to think differently. I applied to Berea because the college offered me an above-par education that is also affordable." "I chose Berea College not only for its Tuition Promise Scholarship, but also because of its diverse community and care for the students' needs." "I applied to Berea College because of the academic rigor and great reputation. I now believe that I was destined to attend Berea because I would not be who I am today without it." Berea awards a no-tuition promise to every enrolled student. Our Tuition Promise Scholarship means students never pay tuition. Without the financial burden of tuition, students are free to follow their dreams after college without the burden of costly student loans. Students receive a high-quality education, which includes work experience, a paid internship, affordable study abroad, and a free laptop that is theirs to keep at graduation. Visit our Admissions site for more information. Shyeila “Shy” Bowers, a junior at Berea College, is one of 262 students named as a Newman Civic Fellow for 2019-2020 by Campus Compact. Berea College installed a Nobel Prize—won by alumnus John Fenn ’37, for his notable work in chemistry—in the new Margaret A. Cargill Natural Sciences and Health Building. The myriad of directions Berea’s faculty have taken in Berea’s GSTR 110 courses is impressive. 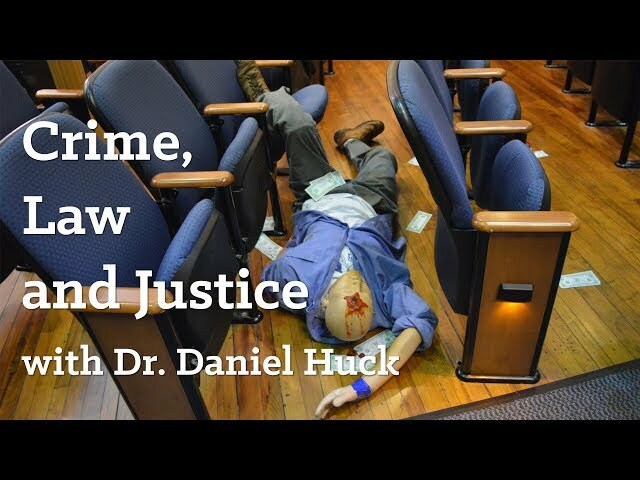 This video features Crime, Law and Justice, one GSTR 110 course where students process a crime scene and prepare their prosecution or defense in a mock trial before a jury. Explore more 110 topics such as preparing for the zombie apocalypse and emerging adulthood.